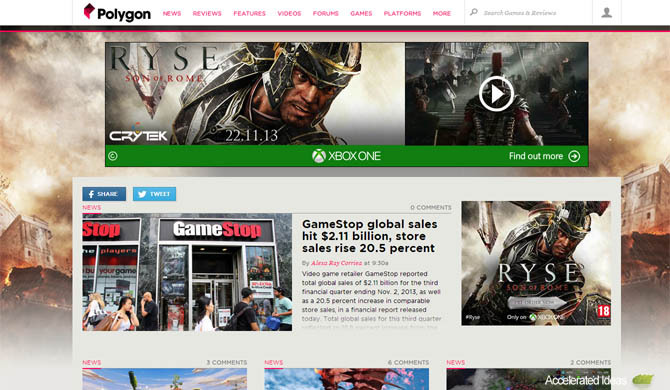 In late 2012, a new gaming site sprang up by name of Polygon. Few would have thought that Polygon would soon become one of the most popular gaming sites whilst single-handedly also becoming one of the most annoying. Not only an inaccurate source, but an untrustworthy one too. Polygon have a short 12 month history. In that time, they've published enough inaccurate reviews and misinformed posts to put them up with the best of the view whores. Using social sites such as N4G, Reddit and Twitter they spread their spam on a daily basis. It's got to the point where most serious gamers consider them the cancer of gaming journalism. Two days ago, Polygon made a shameful comparison of the Xbox One vs the PS4 during their 12 hour live stream, aimed at showing off the Xbox One and giving users a comparison to Sony's already released console. During the livestream, editor Chris Grant stated on several occasions that one advantage that the Xbox One has over the PS4 is that the Xbox One supports remote controls and the PS4 doesn't. Backing up his inaccuracy, he said that grandma would want to use the Xbox One over the PS4 because she wouldn't want to use Dual Shock 4 to watch a movie. Maybe an obvious mistake, but for a site of that size, spreading misinformation is shameful. So where did Polygon come from? Polygon originally appeared in late 2012 (October to be precise). 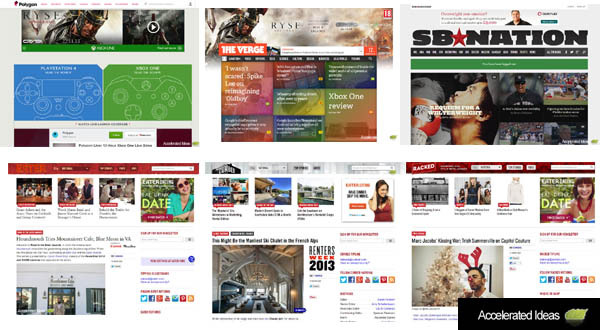 The site was under development for the majority of 2012, at which time The Verge was running most of the gaming articles coming out of Vox Media. Vox Media are your typical news group, they love quantity, but are not so good on quality. This is emphasized by their portfolio of other sites, each of which uses the same technology but covers a different niche. Vox Media love buying new estates to increase their empire while caring very little about the crap they publish. During its early reign, The Verge received numerous endorsements from sponsors such as Microsoft and BMW, which ultimately led Chris Grant to consider his position at Joystiq. 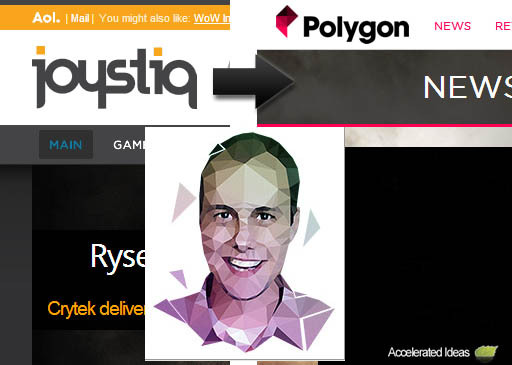 He finally caved in to the money and switched sides to work for Vox Media on their new dedicated gaming site - Polygon. A million $ endorsement from Microsoft has led many to believe that Polygon purposes slant their scores in Microsoft's favour. Over the past few months, especially since the PS4 arrived, this has proven all too true. It's not uncommon to see Polygon posting low review scores only to revisit them days later after the backlash kicks in. A typical view whore technique which Polygon repeat regularly whilst systematically banning anyone who questions them on their site. Polygon was originally formed of 16 people including Chris Grant, Chris Plante, Arthur Gies, Russ Pitts and Justin McElroy. Christ Grant, who previously worked at Joystiq, was the Editor-in-chief with Justin McElroy taking the Managing Editor role. Although they lacked gaming expertise, Justin quickly hired his brothers to work for Polygon too. 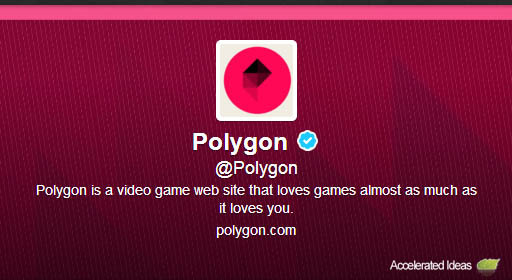 It's late 2013 and Polygon have now doubled in size since their early days. They boast 25 staff members working on editing, reporting, video and website design. A sure sign they're still growing. 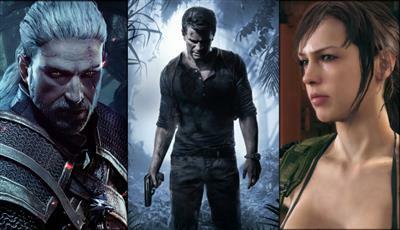 You need look no further than independent gaming sites and forums to see how bad Polygon are. Here's some simple examples..
My particular concern with Polygon isn't that they have a tendency to score PS3 exclusives significantly lower than the average (Ni no Kuni and now, The Last of Us). I would be the very definition of a hypocrite if I said otherwise. My problem is that they continually seek to silence those who have differing opinions from their own. You see, today I was banned from Polygon. Not only was I banned, but every single comment I made today was deleted. I've been reading reviews for the past 30mins and so far the culprits were predictable. Polygon was the worst giving the console a 7.5/10 and one of their main reasons was that it didn't have any software (hardware review score contingent upon software, the f**k?). Polygon's Philip Kollar revealed his review for The Last of Us on June 5, 2013 at 10:00am and gave the game a 7.5/10, a title that has received mountains of 9s and 10s. Since then, the author and the site itself has received criticism by commenters on N4G and on the site itself. Jeff Rubenstein has blatantly called out the review on Twitter: "Per Polygon, TLOU is the worst reviewed game of month thus far. Right." Reviews are written to relay the positives and negatives of a game. I can respect the fact that maybe he truly didn't enjoy the game, but some of his points seem to come from an extremely tilted view. We also musn't forget the fact that Polygon was initially funded by Microsoft with a head-swiveling amount in the area of $700,000. Make of that what you will, but this fact makes the consistent bias against Sony seem all the more plausible. Is it time to boycott Polygon? Sadly, we're all responsible for Polygons success over the past 12 months. Their distorted information, biased review scores and countless cockups have drawn people to their brand. They've managed to make a name for themselves, maybe not a good name, but from a marketing perspective they love this attention. So if you are fed up with Polygon, do what others have suggested...don't even mention their name, don't go to their site and stay away from Vox Media for good. It won't do much in the long run, but at least it'll rid the community of this carcinogenic assemblage for now..